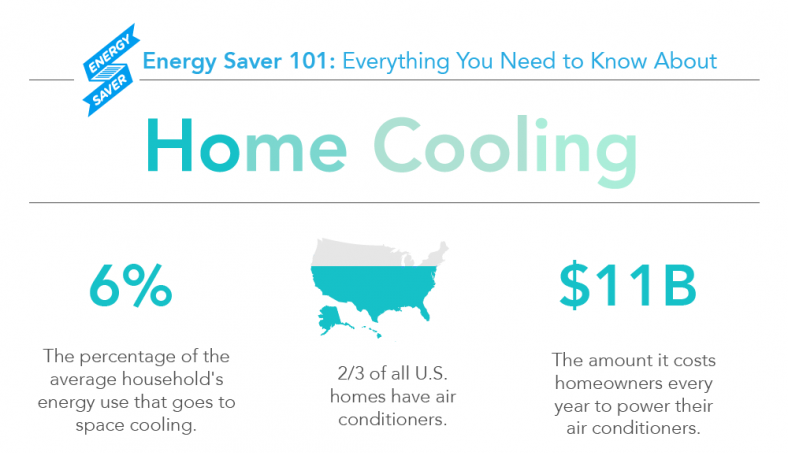 For many homes, winter comes with a large monthly energy bill — with heating and lighting in heavier use. But that bill is getting smaller, thanks in large part to the Energy Department’s Appliance and Equipment Standards Program. This initiative helps improve the energy efficiency of products we use every day. And it’s working: Consumers are saving more than $62 billion a year while avoiding carbon dioxide emissions equivalent to the output of nearly 50 million automobiles. That’s the energy used in almost 21 million homes. These standards, now in place for about 65 different types of products, set a minimum energy efficiency level that products sold in or imported into the United States have to meet, avoiding a patchwork of state standards and therefore reducing the regulatory burden on manufacturers. Manufacturer interest in a national solution is part of the reason the Standards Program was originally authorized by Congress in 1975. The Energy Department works with manufacturers and other stakeholders to set and periodically update these standards, keeping pace as new energy-saving technologies hit the marketplace. Products covered by these standards include many of the things found in our homes, from lighting to heating and cooling systems to kitchen and laundry equipment. 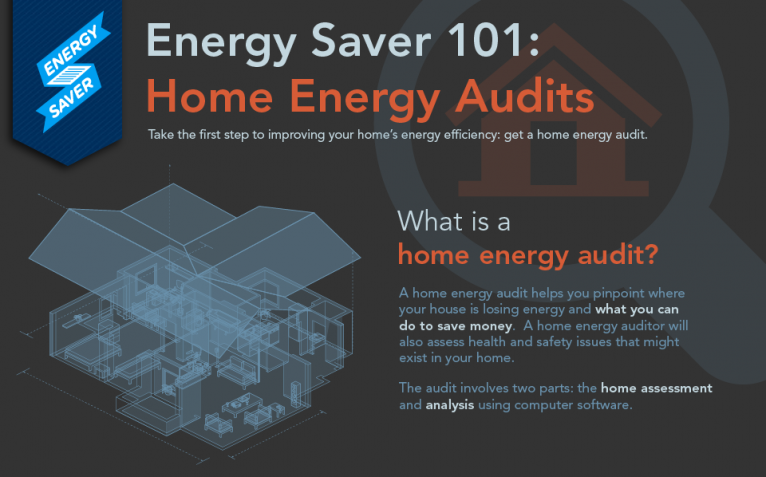 The result is large efficiency improvements, large energy savings, and technology innovation. For example, a typical new refrigerator now uses one-fourth of the energy than its counterparts in 1973, while offering 20 percent more storage capacity and being sold at half the price. Since 1990, new clothes washers now use 70 percent less energy, new dishwashers over 40 percent less and air conditioners about 50 percent less. 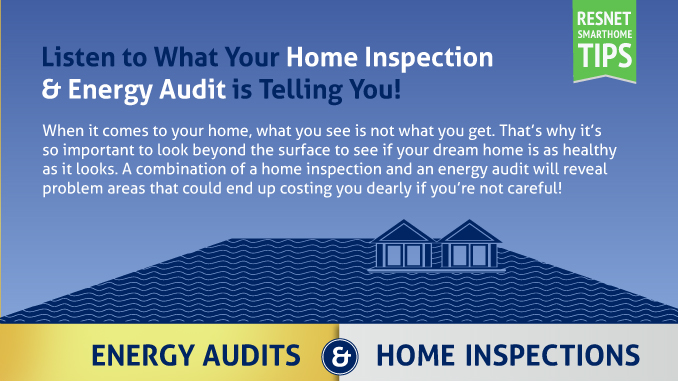 Altogether, this adds up more than $300 in energy bill savings each year for a typical household, and billions in savings across the country. We have made particularly important progress since 2009, with a commitment from President Obama to eliminate a backlog of unfinished standards and to keep federal standards up-to-date. 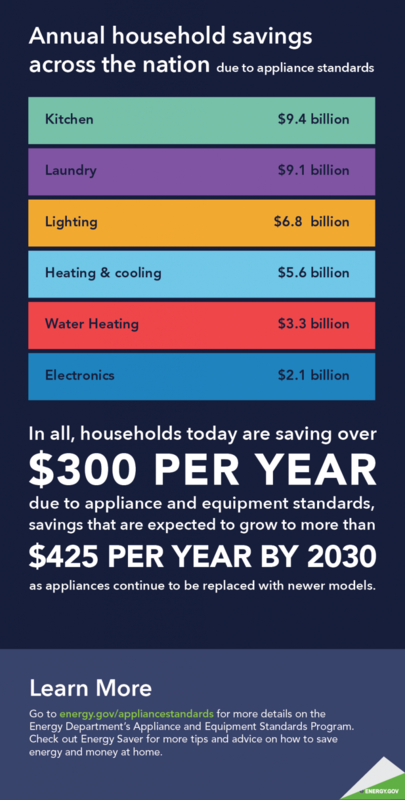 Thanks to these efforts, consumers are expected to save $56 billion on utility bills between 2009 and 2030, with cumulative carbon pollution reductions of almost 3 billion metric tons by 2030. 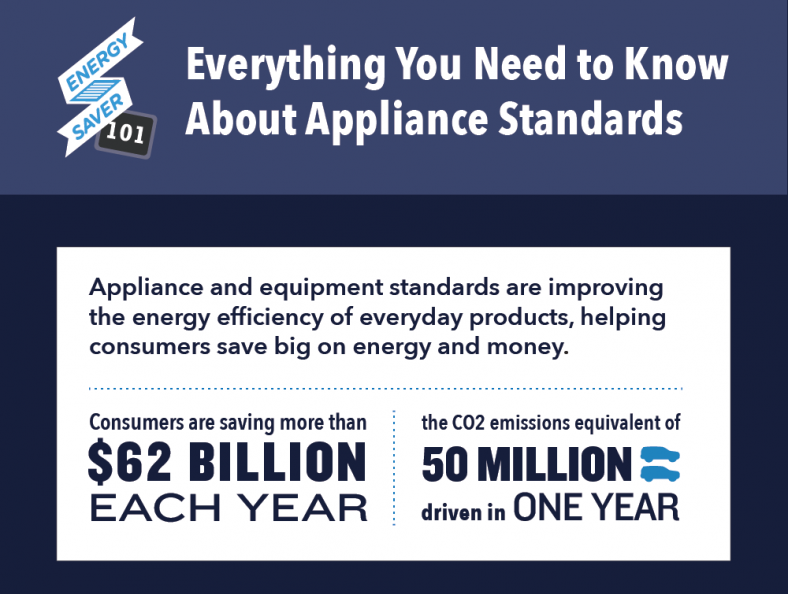 In short, national appliance standards are a big win for consumers, industry and the planet. We look forward to sharing more with you about this important program all week on Energy.gov. Over the next few days, we will take a closer look at the everyday home appliances that are saving you money and energy.